A promise is a promise, even if you make it when you're 8 years old. 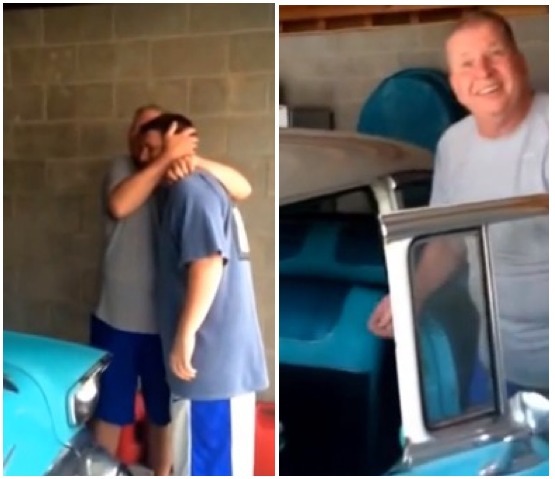 As a little boy, Mike King swore he'd buy his dad a '57 Chevy Bel Air on his 57th birthday. Lo and behold, he did. 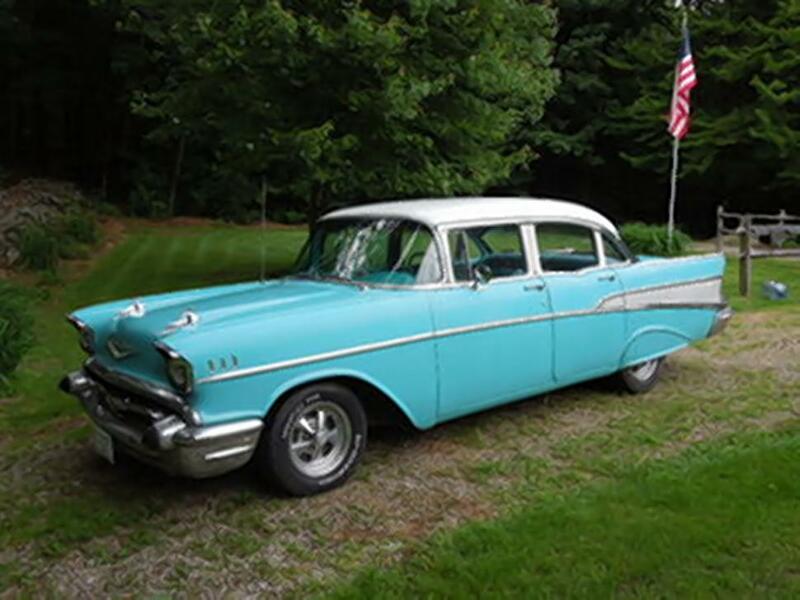 Roger King was speechless when he saw the gleaming, two-tone Chevy. LAS VEGAS — Seems like everyone knows the look of a classic 1957 Chevrolet, whether its the chrome rockets on the front or the jutting tailfins in back. But when comes to finding those same distinctive features on a motorcycle, now that's a surprise.